As the voice of his peers, Matt has a passion for contributing his talents to create positive change. With the aid of administration members he has created a project where students can donate their leftover Blue Bucks to a local food pantry. Such work is tiresome but Matt shares how it’s the little moments that make his work in CSG worth while. Wes joined the rowing team not expecting much to come of it. Instead, rowing became the center-point of his college career as he reached for leadership opportunities. He has led his team in becoming top in the nation and earning international acclaim. Sammy founded her own student organization that writes love letters to lift and empower others through tangible acts of love. Not only that, but she is also on the Dance Marathon central planning team and an orientation leader. While her positions are commendable, Sammy has a unique view on what it means to be a leader that she wants incoming students to know about. Canon began his long career of involvement on campus just by attending Festifall. He has since gone on to become president of two student organizations and found one of his own called Distinguished, which works to empower students underrepresented and underprivileged for personal and professional development. Along with founding and leading Hillel’s own environmental group, Becca holds positions on several boards with sustainability initiatives. The irreplaceable skills she’s learned and practiced through being highly involved has helped her improve and grow her organizations when she came into leadership positions, as well as improve her own professionalism. Bobby first got involved at UM through Greek life, which then paved the way for his leadership position in CSG.  Thanks to Bobby, student ticket prices for sporting events have been lowered and we now have the Wolverine Support Network, a peer-to-peer support network helping students maintain their mental health. Listen to his advice about getting involved. Fabiana has expanded her interests, areas of knowledge, and become a part of new communities just by exploring the offices around her workplace at the Union. From her involvement at the Dean’s office, SAPAC, and Culture Shift she has acquired a multitude of diverse talents. Hear what Fabiana wants you to know about putting yourself out there.